10 of the Best Amusement Parks in the U.S. Owner of the Coaster Studios YouTube Channel! Also an Actor, Mormon, Eagle Scout, and Lover of Dogs/anything furry. Outside of those who are die hard coaster fans, how often does the average family visit an amusement park? Once a year? Maybe twice? Or for some it's every few years. But the sad thing is that when you ask the average person to name a park, most are only able to name the local amusement park, and Disney World/Land. The fact of the matter is that most people have heard of or been to a Disney park, but many of these other great amusement parks are getting passed up. 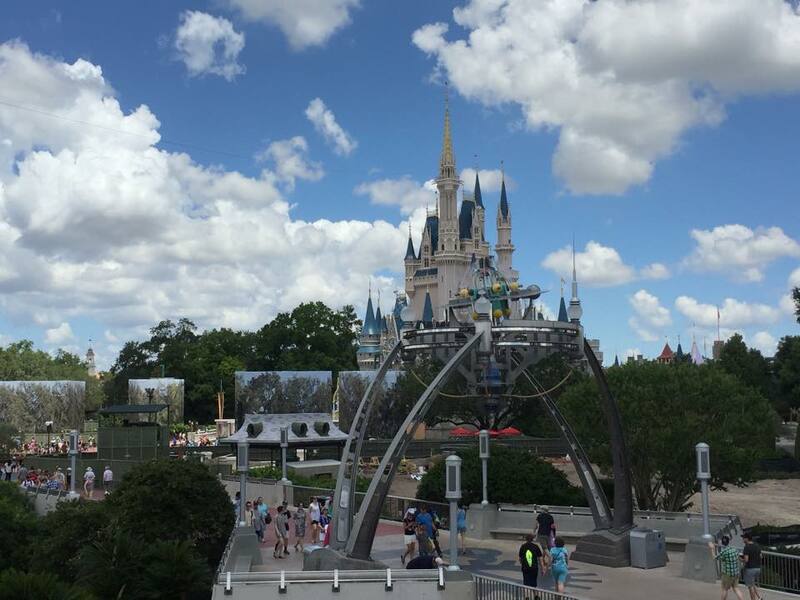 Through my experience of visiting over 40 different parks across the country, I've learned that you don't have to visit Disney to have a great time. Obviously there's something magical about walking through Tomorrowland, but believe it or not, there's plenty of parks out there that I would say give just as wonderful of an experience. So based off of my travels, I've compiled a list of 10 of my favorite parks across the United States. Now I haven't been able to make it every where, so obviously not every park is going to get a mention, but I am a huge fan of all of the parks listed below, and I think they're absolutely worth a visit. In no particular order, lets kick things off with Carowinds. What makes this park so special? Well, those who venture out to Charlotte, North Carolina, will notice how the park sits on the state line. That's right, Carowinds' entrance sits on both North Carolina and South Carolina. As a result, many of the coasters here reside in two states. One of these, Fury 325, was just recently voted the Best Roller Coaster in the World in the Golden Ticket Awards. So if Fury wasn't enough to make you want to visit, what's great about this park is how they embrace Carowinds as the place where the Carolina's come together. Because of this, much of the food offered here is a Carolina classic- such as the barbecue at Harmony Hall. Also available is one of the best water parks around, called Carolina Harbor, which just recently underwent upgrades, so now it's better than ever! Next we have Holiday World! Located in Santa Claus, Indiana, this park is home to four different themed lands- Christmas, Halloween, Thanksgiving, and 4th of July. All of the rides in these areas follow the theme of the area. The park itself is filled with lots of rides for the families, including a great water park called Splashin' Safari. Splashin' Safari has consistently been voted one of the best water parks in the world, due to the cleanliness and vast array of water slides. Of course, it wouldn't be a theme park without roller coasters, and Holiday World has five of them. Not as many as some of the other parks on this list, but each one of them provides a great experience. Three of those rides are exhilarating wooden coasters, traveling out into the woods and back. The parks newest coaster, Thunderbird, opened back in 2015 and remains one of my favorite coasters I've ridden. Oh, and did I mention there's free soda? That, in combination with free parking, and free sunscreen, make Holiday World a great place to visit with the whole family! Six Flags Fiesta Texas, in San Antonio, Texas, is up next. What sets this park apart from the others is its unique integration into a quarry wall, that serves as the parks backdrop. Multiple roller coasters are even built into this, allowing them to incorporate elements that they wouldn't have included otherwise. Many consider Fiesta to be the prettiest Six Flags park, and that is something I absolutely agree with. When you take into account the quarry, its Texas charm, and uniquely themed areas, there's no denying what a an awesome experience it is to visit. If you ever find yourself in south Texas checking out the Alamo, make sure to dedicate a day to this beautiful park. However the chocolate isn't the only thing that is sweet here. When one enters Hersheypark, brace yourself for a full day of fun- because that is exactly what you're going to have. 13 roller coasters weave their way in and out of the park, passing over the midway into drops, loops, twists, and turns. These 13 rides alone make the visit to Hershey worth it, and I find myself continually impressed at how amazing their roller coasters are. 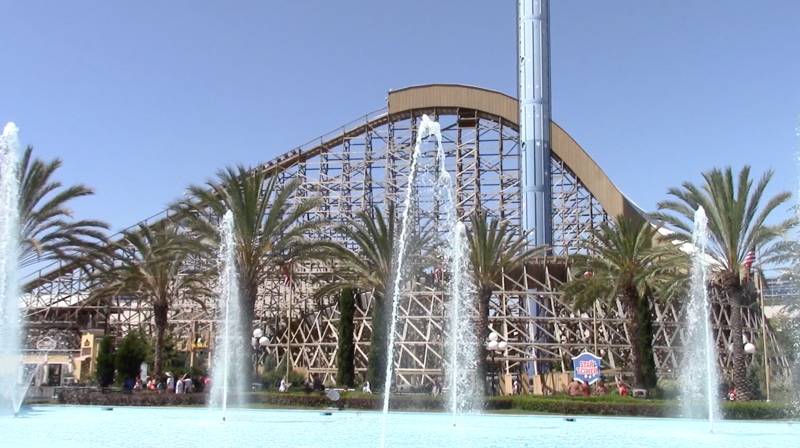 Knott's Berry Farm can be found just 10 minutes from Disneyland, in Buena Park, California. As a result, this park definitely gets a bit more traffic than most, but I'm consistently surprised at the amount of people who make pilgrimages to Disney, but don't even bother to consider a visit to Knott's. Many will know Knott's as America's first theme park. The place officially opened up in 1920, and is full of charm, great roller coasters, and a working ghost town. In combination with its great food, shows, and children's rides, this is absolutely worth a stop if you happen to find yourself in Southern California. Because unlike Disneyland, there's something here for the family, AND the thrill seekers. The worlds largest amusement is located in Jackson, New Jersey, and is called Six Flags Great Adventure! The park houses 13 roller coasters, tons of family rides, and an entire safari! Along with several animal encounters sprinkled throughout the park, there's certainly something for everyone! Chances are, if you've heard of Six Flags Great Adventure, you've probably heard of this coaster: Kingda Ka. Standing at 456 feet high, this is the tallest roller coaster in the world, as well as the fastest in the U.S. But that's not even the true star of the show! 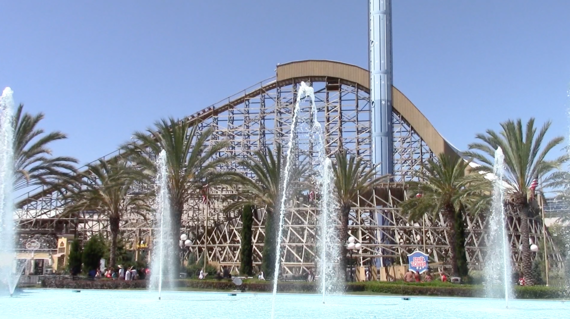 Coaster enthusiasts across the country make visits to this park for El Toro- single handedly one of the best wooden roller coasters in the world. Kings Island, in Mason, Ohio, is next on my list of favorites. When guests come to Kings Island, they expect to have a good time. And I think it's safe to say that most everyone comes out satisfied, and of course, exhausted. This 364 acre amusement park not only has what has been voted the #1 kids area, but also one of the best Top 3's of any amusement park- Diamondback, Banshee, and The Beast. Each one of these is considered one of the best of their kind, and is the sole reason many coaster junkies travel to southern Ohio. Kings Island has been getting a lot of attention lately, as they are currently building one of the most anticipated coasters of 2017. Mystic Timbers will be the parks 5th wooden roller coaster, and helps Kings Island take the record for the most wooden track at any park in the world. One of the parks I just can't seem to stay away from is Dollywood. Located in eastern Tennessee, in Pigeon Forge, is one of the most charming parks I've ever been to. Like Holiday World, they may not have as many roller coasters as some of these others (8), but its still a must visit. The entire park is encased with southern charm, great food, nice employees, and tons of rides for guests of all shapes and sizes. Dollywood, as you may have guessed, is partially owned by Dolly Parton, which means much of the park revolves around shows. Dollywood has won the Golden Ticket Award for Best Shows, as well as Best Christmas Event- Smoky Mountain Christmas. During this time, the park is decked out with millions of lights, giving guests a completely different experience compared to if you were to visit in the summer. The parks newest coaster, Lightning Rod, opened this past year, and also won the Golden Ticket Award for Best New Coaster of 2016. It remains the only launched wooden coaster in the world, as well as the fastest wooden roller coaster. Coaster junkies all over flock to Six Flags Magic Mountain (Valencia, California) to experience their record breaking amount of roller coasters- 19, which is more than any other park on the planet. If you like roller coasters, then this is the place to be. There you will find 4 kid coasters, 3 family coasters, and then everything else is left for those looking for an adrenaline rush! While the park may be lacking in some of the other departments, such as shows or thrilling flat rides, there's no denying that the park boasts what could be argued as the best collection of coasters in the world. So how do you end out a list of 10 of the best amusement parks? With arguably the best park in the U.S., of course! Cedar Point in Sandusky, Ohio is truly one of a kind. The resort sits on a peninsula jetting out into Lake Erie, meaning if you get tired of the rides, you can go and chill on the beach! Or if its too hot out, go relax in the pool in the on-site hotel, or head over to Cedar Points water park, which is being upgraded in 2017 as Cedar Point Shores! In total, the park houses 16 roller coasters, some of which are known to be some of the best out there. Millennium Force has been considered one of the best coasters in the world; Maverick is small but powerful, and my personal favorite in the park; Top Thrill Dragster is one of the tallest and fastest rides out there, taking riders up 420 feet into the air at 120 mph; and Valravn is their new-for-2016 coaster, which drops riders down a 200+ foot drop at a 90 degree angle. But what makes Cedar Point truly spectacular is the overall experience when you come here. Amazingly, they're able to pack in over 70 rides onto this peninsula, meaning there's plenty for the kids to do while the older ones are off conquering the coasters. As you may have noticed, I did not order these parks in any sort of Top 10 list. These are my personal 10 favorite parks, and I've attached the Top 10 above in case you're interested in seeing how I've ranked them, but the bottom line is that no matter what demographic you fit in, each of these parks offers something for everyone. If you get the chance, you will not regret paying them a visit.